Effective implementation of data and visual technology can contribute significantly to a project’s success through data collection and its management, analysis, and presentation. DBS&A gathers and integrates disparate data sources for analysis. Our staff also provides information solutions for deliverables related to a wide range of environmental and science applications that are comprehensive, technically accurate, and effective. Custom data applications make it easy for organizations to manage and use data based on their individual needs. DBS&A has high-level web-development capabilities and assists our clients in managing, developing, or enhancing their data on the web. Our staff includes application developers and programmers who create GIS-enabled web and desktop software products that automate tasks and enhance user productivity. Historical data—in the form of reports, tables, boring logs, and cross sections—are often generated by numerous entities over years and even decades. Organizing and analyzing this disparate information is a daunting task. DBS&A routinely imports and integrates these historical data sets into data management systems, allowing our clients to effectively organize and analyze the past to manage and plan for the future. DBS&A’s scientists and in-house programmers cooperatively developed a web-based tool that enables remote users to efficiently access, manage, manipulate, map, and interpret vast amounts of data. The customized, user-friendly interface uses industry-standard software that improves collaboration within the work group and facilitates effective project management and oversight, resulting in time and cost savings. GIS is a system of computer software, hardware, and procedures that provides the ability to relate different types of data in a spatial context and to reach conclusions about this relationship. The primary focus of any GIS is to associate information in the form of a database with geographic locations or features such as points, lines, or areas on a map. GIS is particularly useful for managing large amounts of data associated with complex site investigations and large-scale natural resources studies. 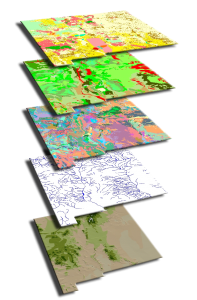 GIS allows for coherent, cost-effective, and efficient data management querying, analysis, and presentation. DBS&A has maintained state-of-the-art GIS and database development capabilities since 1996. As a business partner with ESRI, DBS&A is identified as a leader in GIS capabilities. 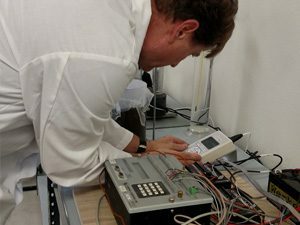 Our specialized expertise, enhanced by years of environmental investigations in semi-arid areas of the western U.S., is invaluable to public and private entities faced with environmental and resource management issues. 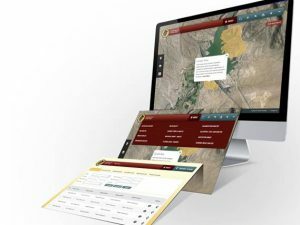 Our team members design comprehensive GIS for hundreds of water resources, engineering, and litigation support projects and develop stand-alone systems for various local, state, federal, and tribal government agencies. Our specialized expertise, enhanced by years of experience applying GIS to environmental and natural resource projects and programs, is invaluable to clients looking to make sense of spatial data. Visualizations are effective tools for accurately depicting site history, features, and processes. DBS&A has the tools and expertise to create state-of-the-art visualizations using geologic, water, and chemical data. Our illustrations, 3D models, and animations range from highly conceptual renderings to data-driven visual interpretations that are defensible in court. They can also enhance project communication and understanding for both technical and non-technical stakeholders. 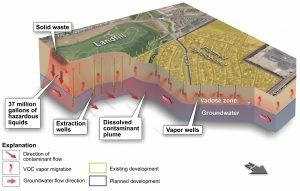 Site investigations are often hampered by the challenge of envisioning complex structures and hydrogeologic and geochemical interactions over time. Historical data generated by numerous entities over many years can make organizing and analyzing this disparate information a daunting task. Using database, GIS, and tools, DBS&A can compile and organize historical data to create coherent and comprehensive visual interpretations of surface and subsurface conditions for specific time periods or to show site trends. We use these tools for projects ranging from individual underground storage tank sites to regional aquifer-scale studies.